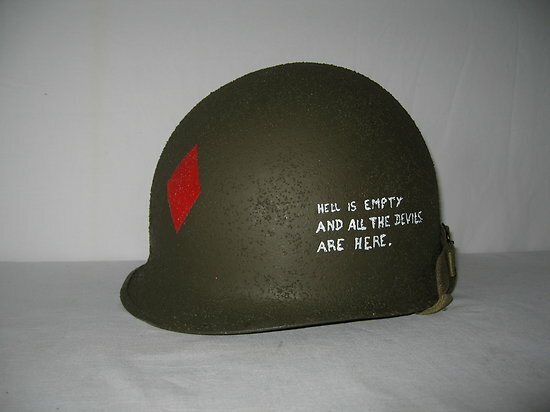 Forfait peinture insigne 5th INFANTRY DIVISION sur casque M1; peint en façade. 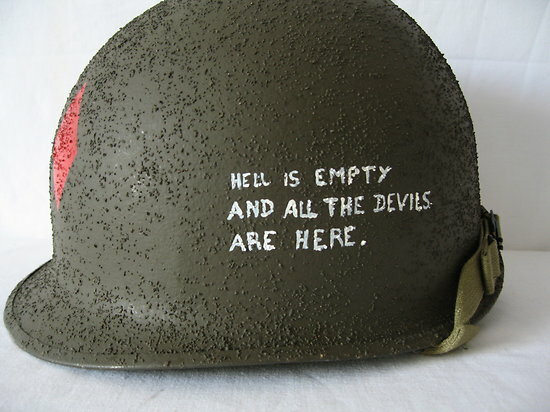 ET phrase "Hell is empty and All the Devils are Here". surnom : "RED DIAMOND HELL"